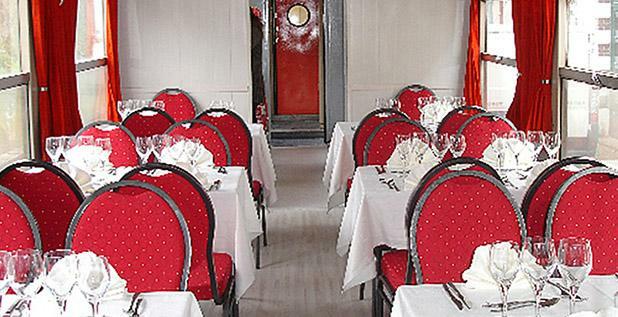 he Valley Railway organizes "lunch and dinner specials", in partnership with a local restaurant Le Pacy’O. See the unspoiled countryside of the Eure Valley from our dining car, while enjoying a delicious meal. Meals are served while the train winds its way along the entire line currently open to the public. FARES: €50 per person, inclusive of meal and train ride, aperitifs and coffee. Drinks with meal are charged extra. Children €24. 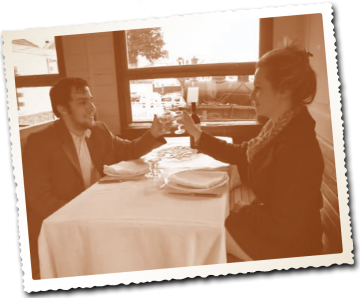 SPECIAL EVENTS (St Valentine’s Day, Mother’s Day, regional and international cuisine…): €55 per person inclusive of meal and train ride, aperitifs and coffee. Drinks with meal are charged extra. Children €27. call 02 32 36 04 63, send an e-mail to contact@cfve.org, or visit our website.